A selection of four cheeses chosen to pack a punch, the perfect present for someone who enjoys powerful flavours. 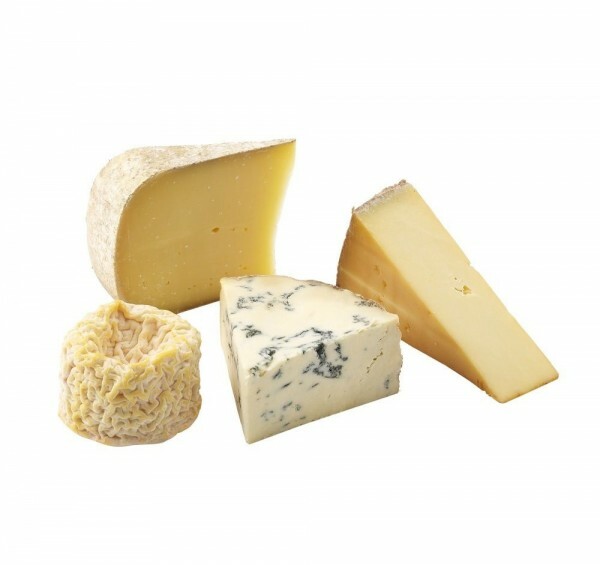 Mossfield Organic ( pasteurised, vegetarian ) - Rich in colour and with the full flavour of Aged Gouda, this cheese is made in Southern Ireland with organic cows milk. Stichelton (unpasteurised, traditional) - The brainchild of Joe Schneider and Randolph Hodgson of Neals yard Dairy. A spicy and intense blue cheese made to a Stilton recipe but using unpasteurised milk. Smoked Lincolnshire Poacher (unpasteurised, traditional) - A chedddar style cheese that has been oak smoked for 24 hours, imparting a strong smoky flavour.